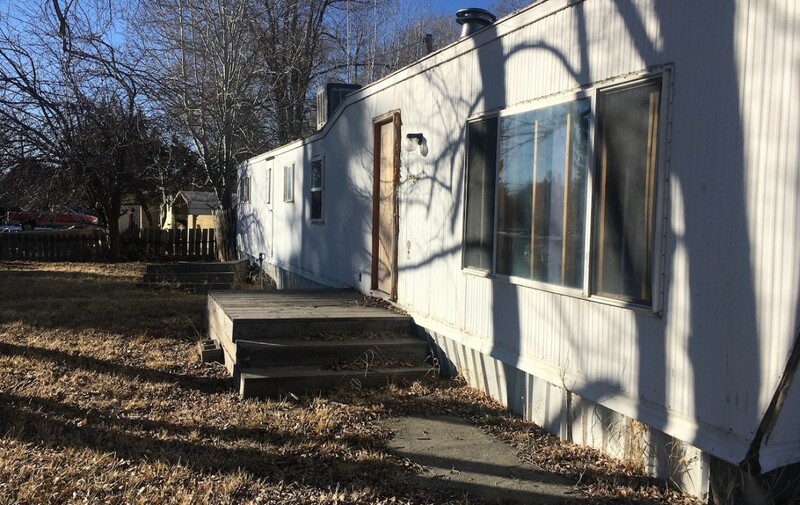 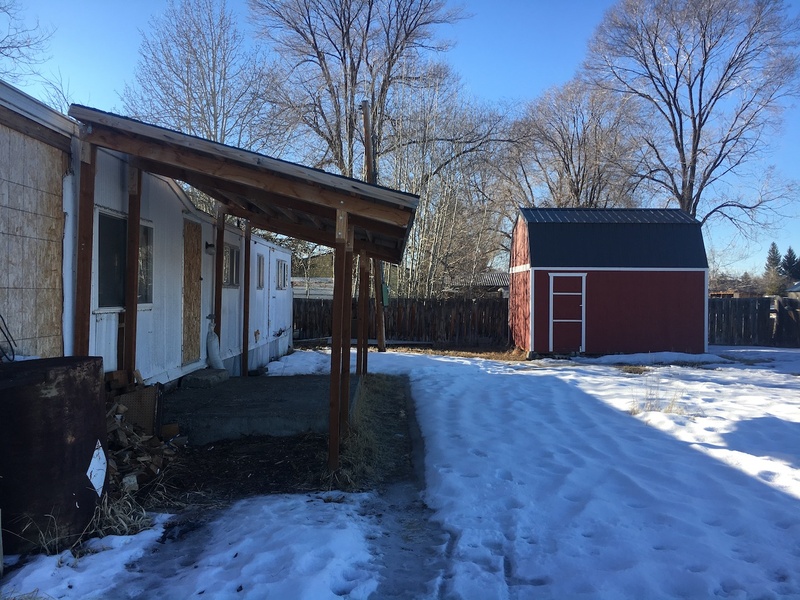 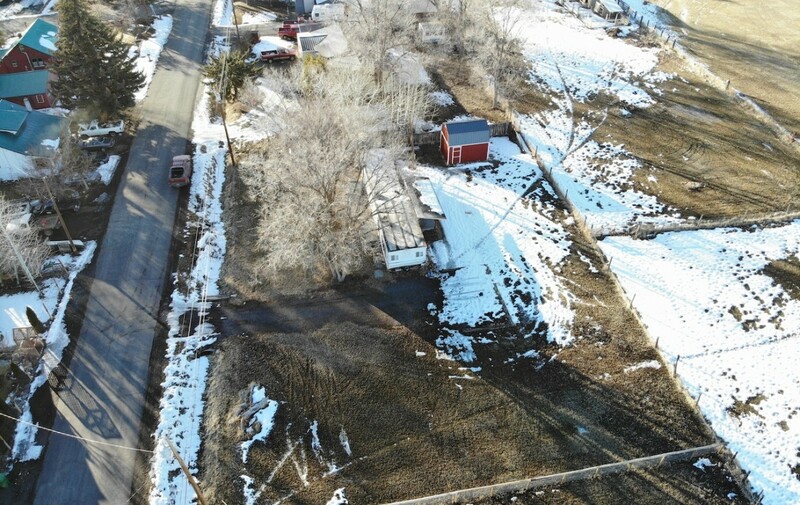 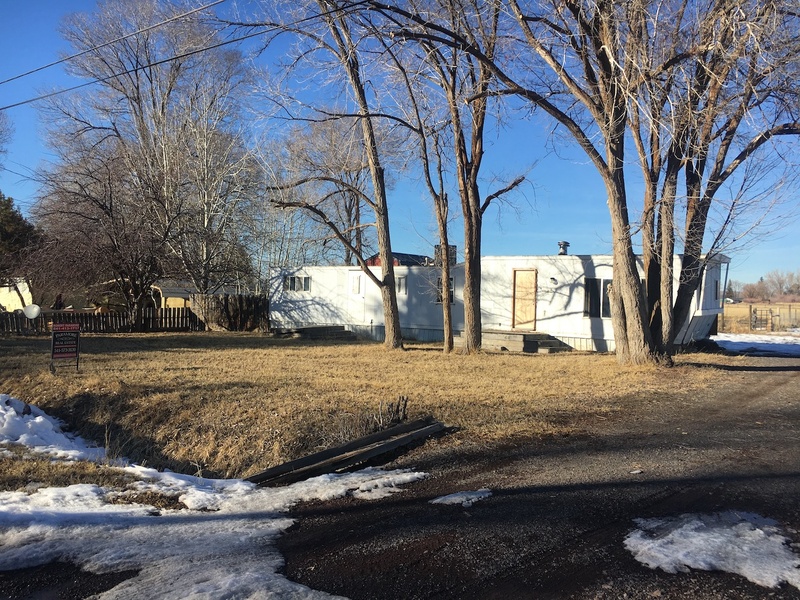 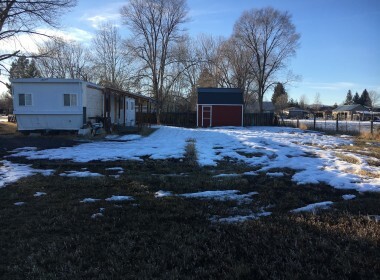 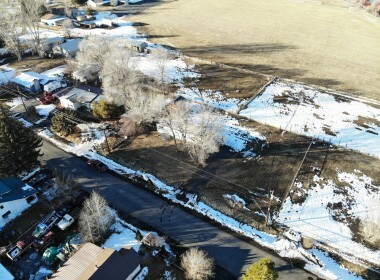 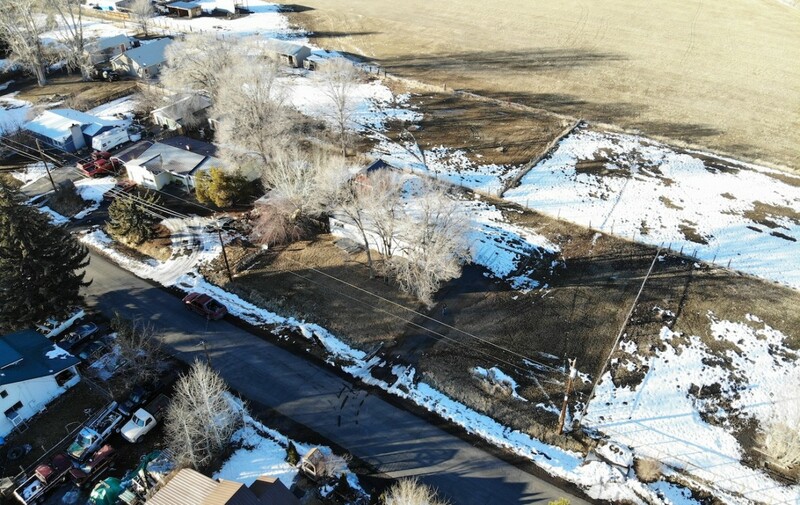 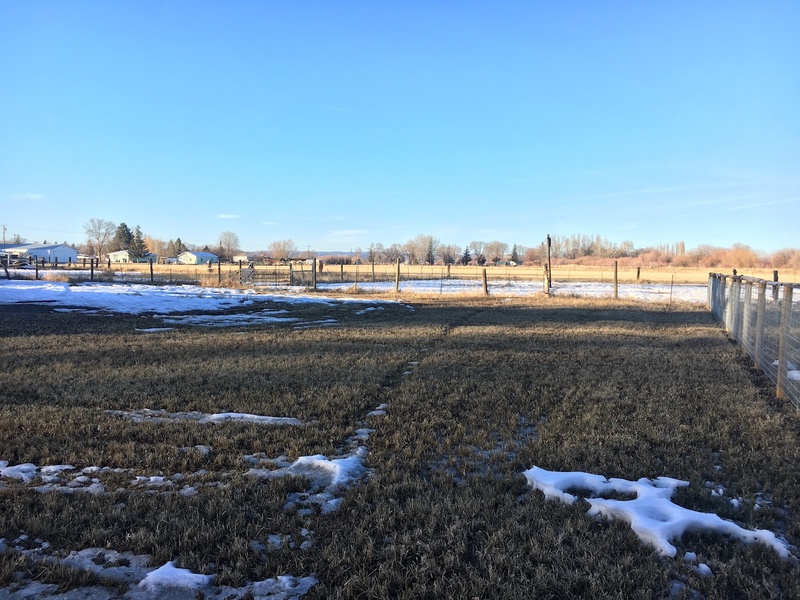 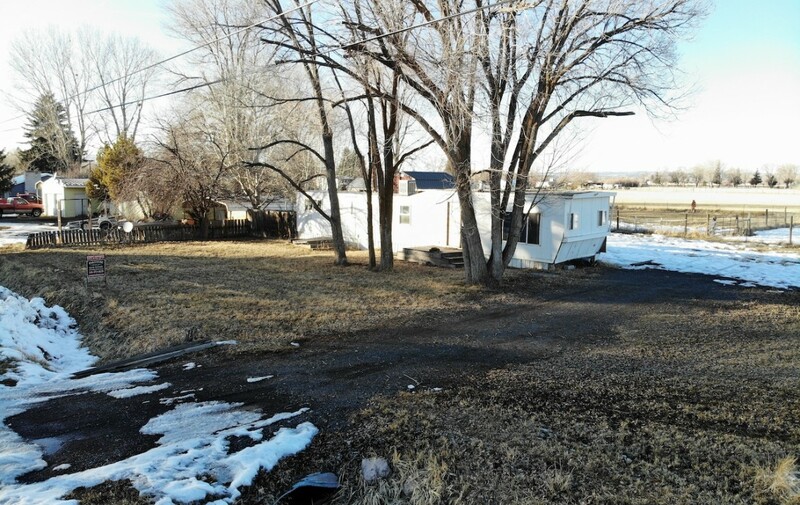 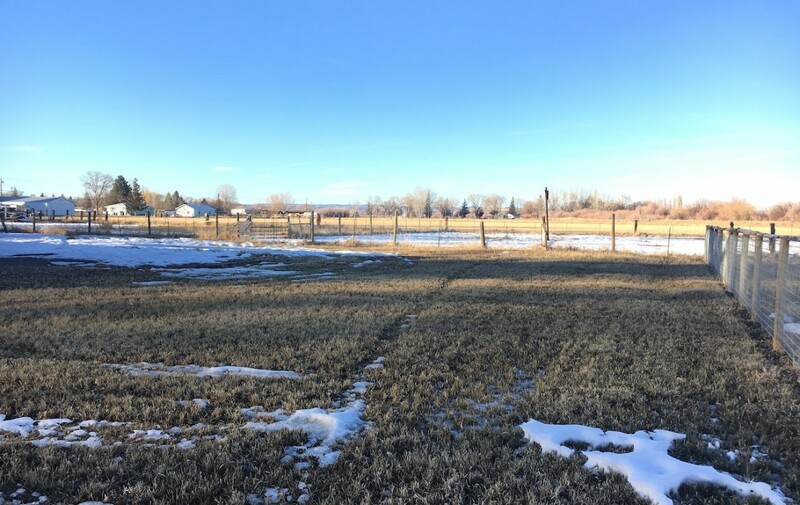 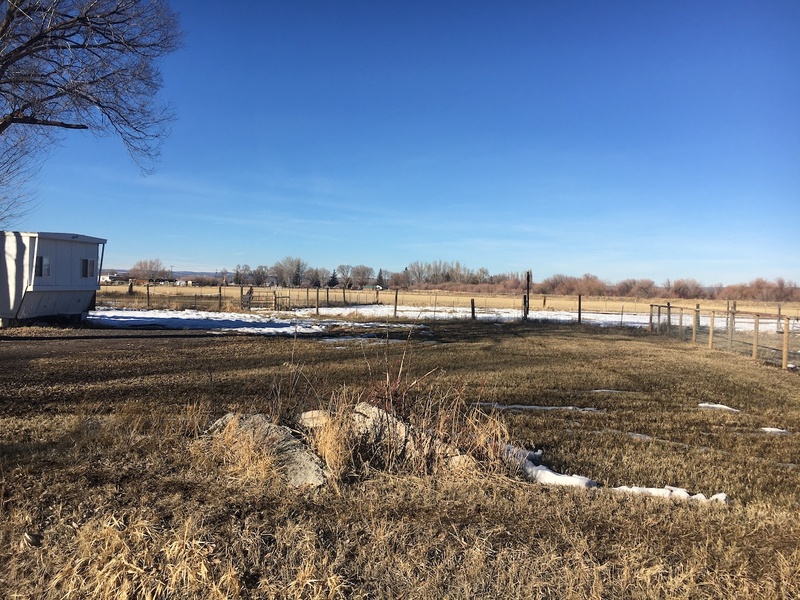 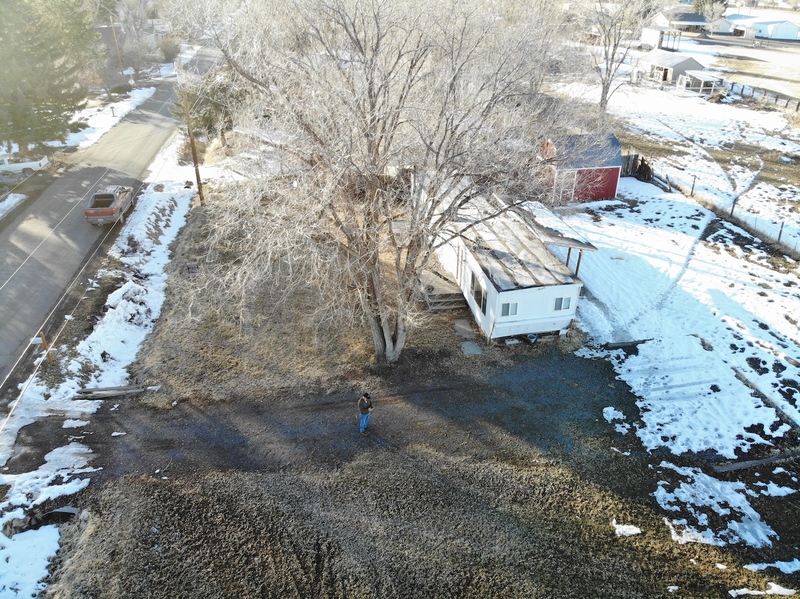 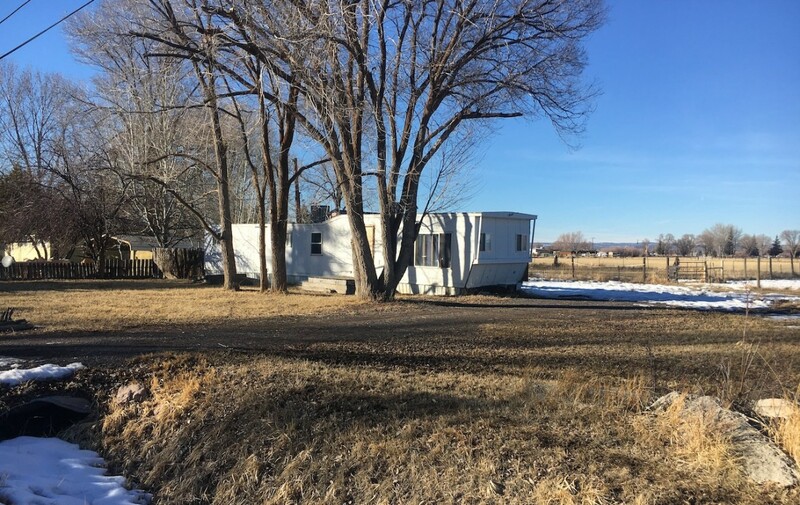 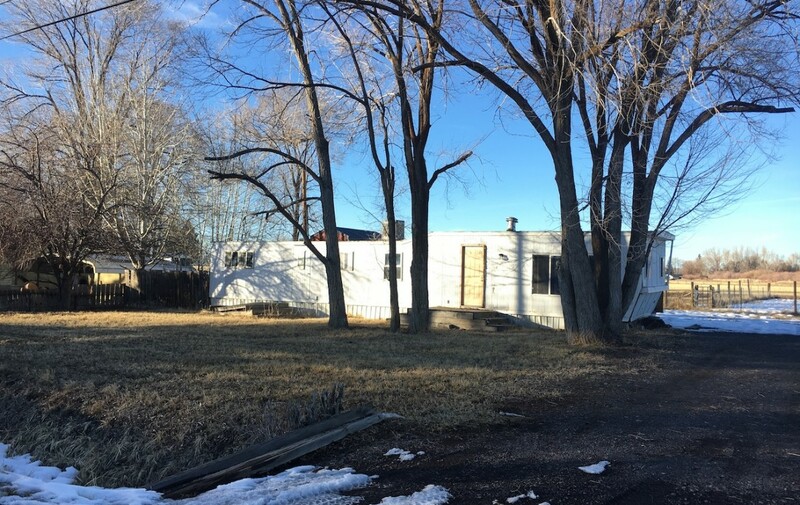 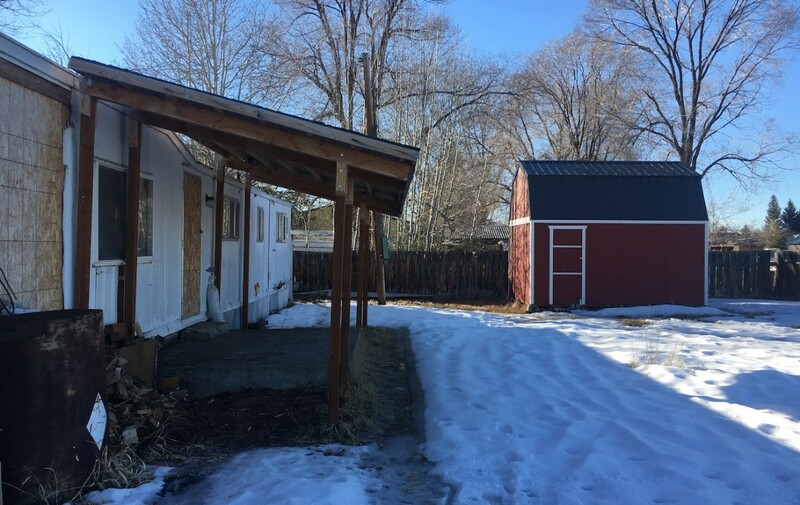 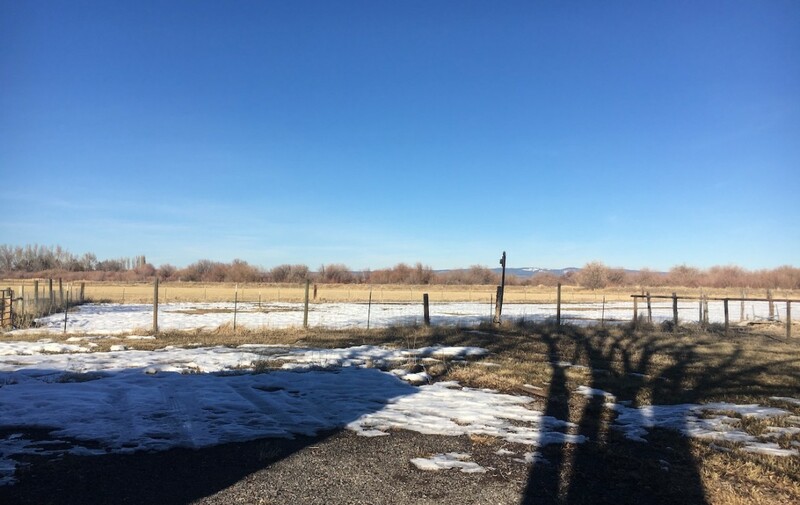 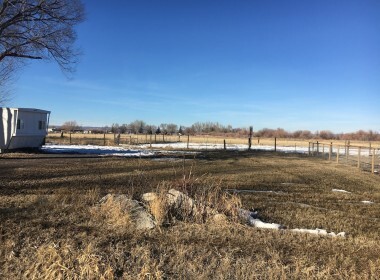 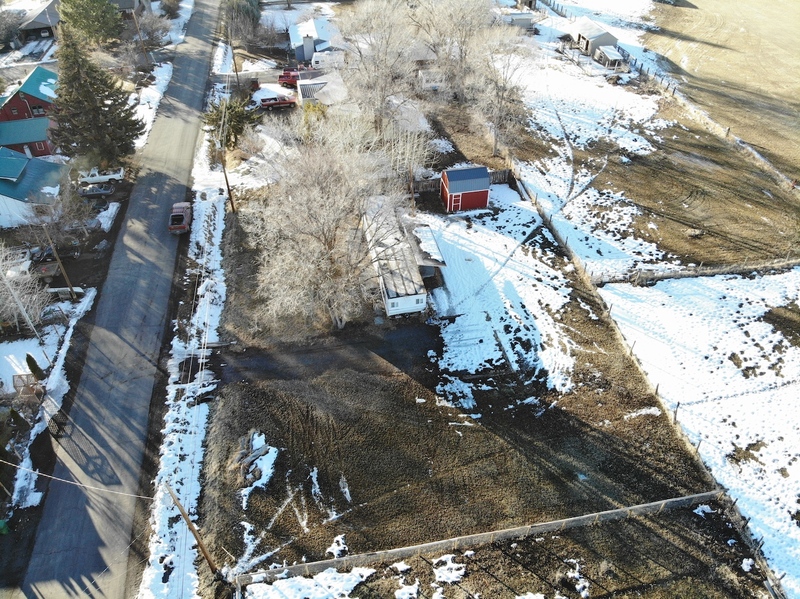 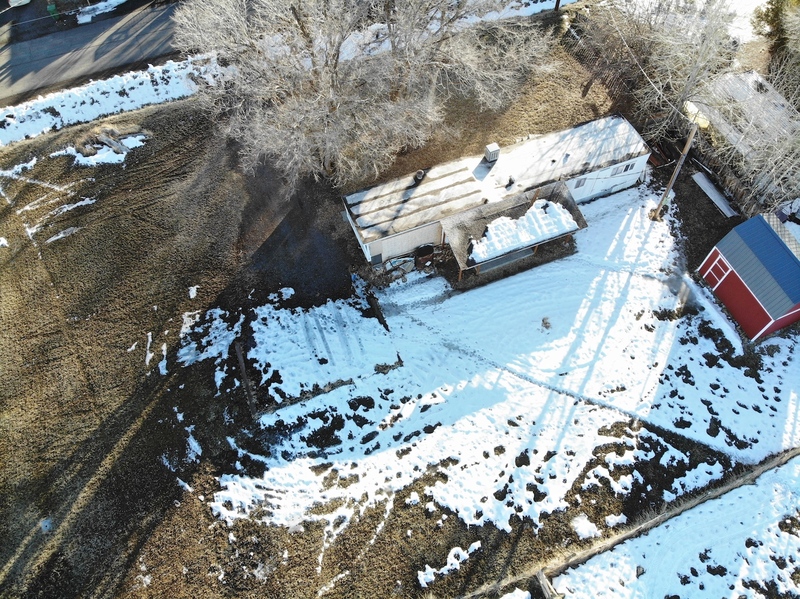 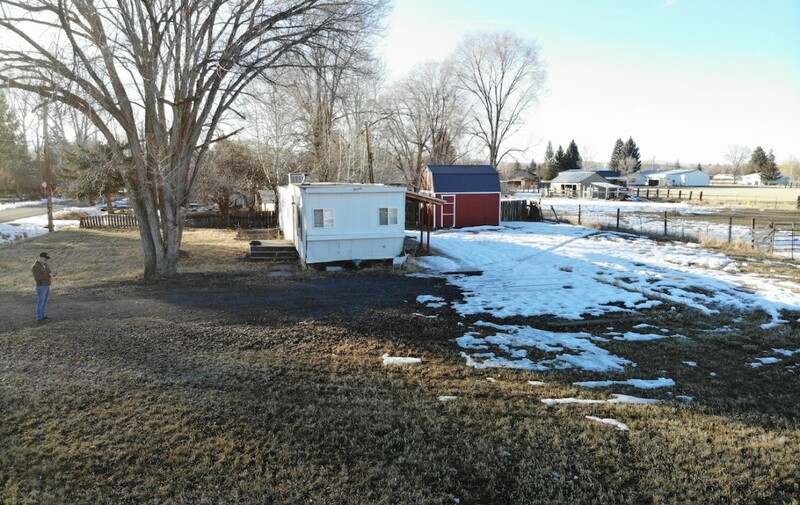 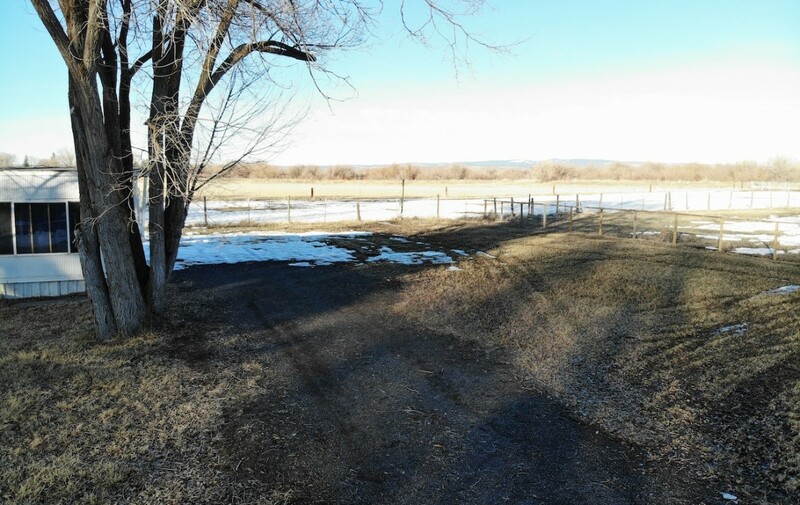 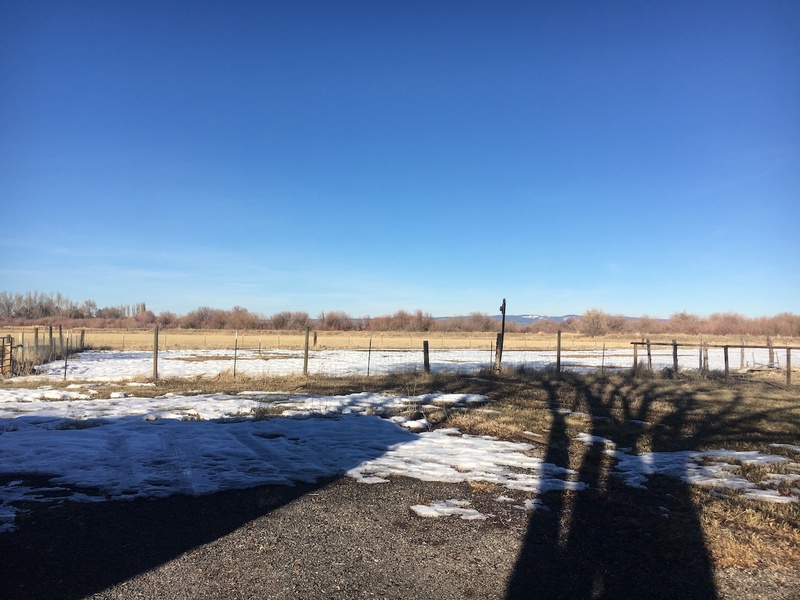 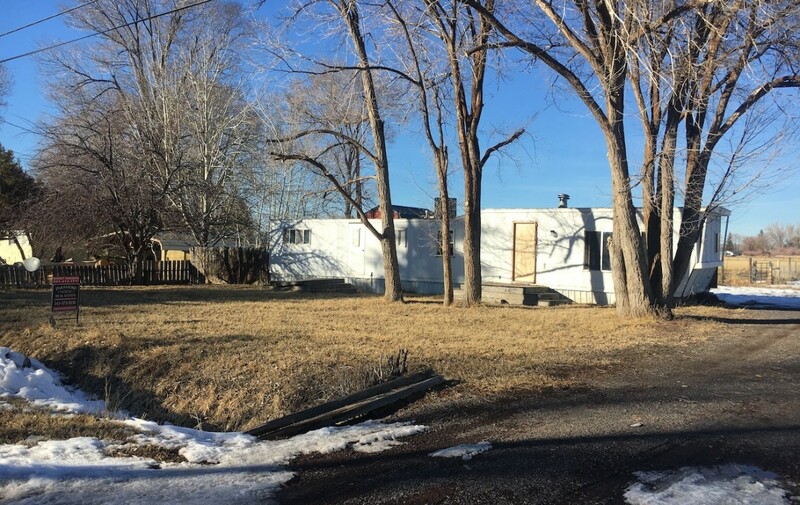 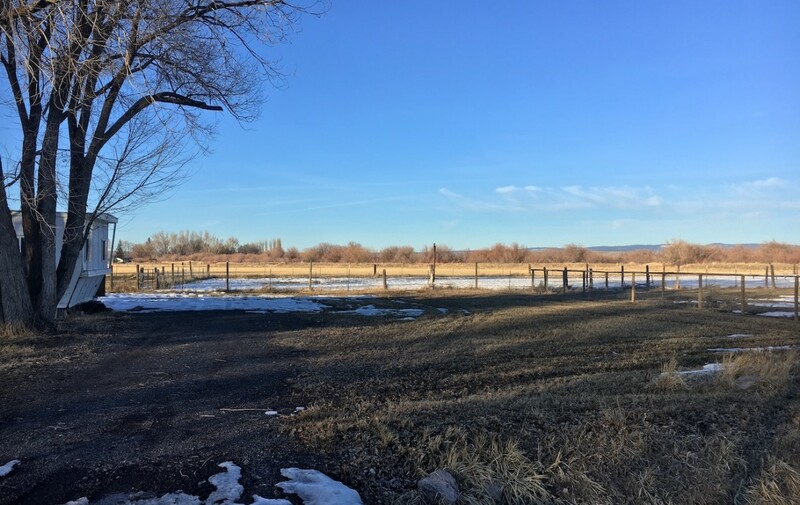 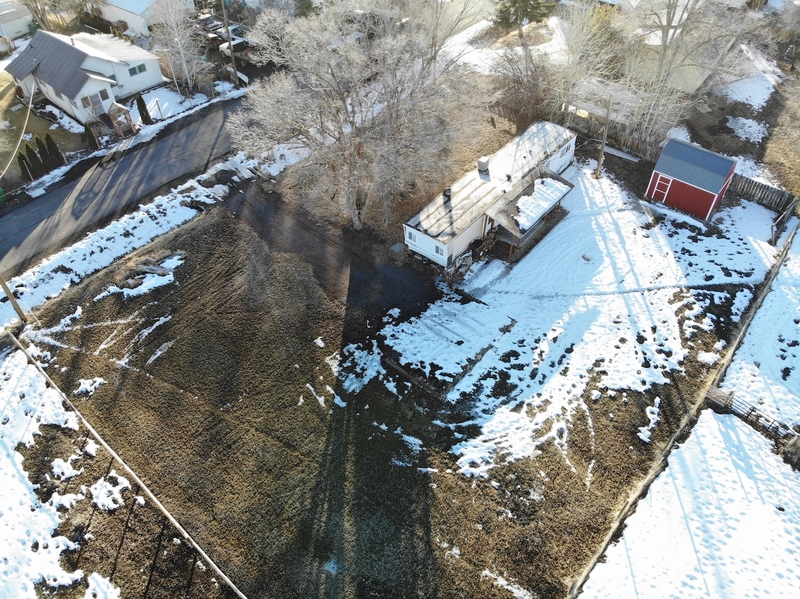 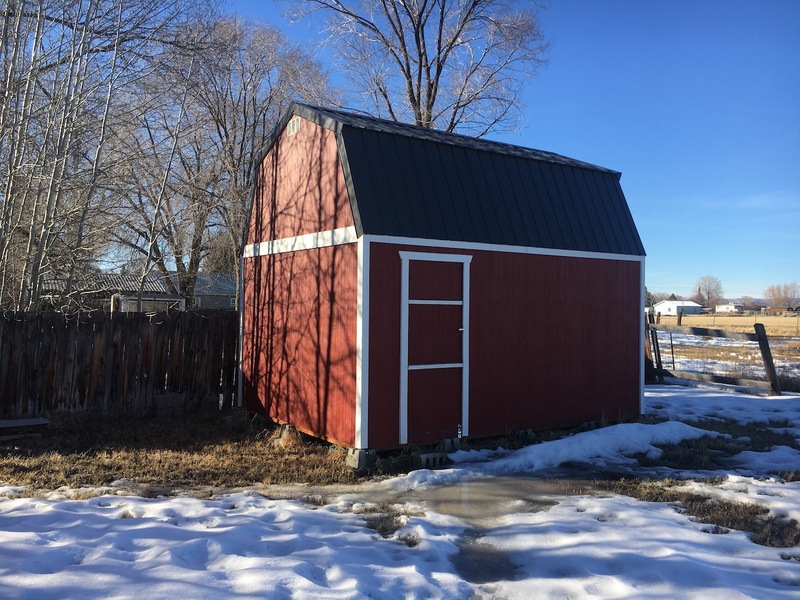 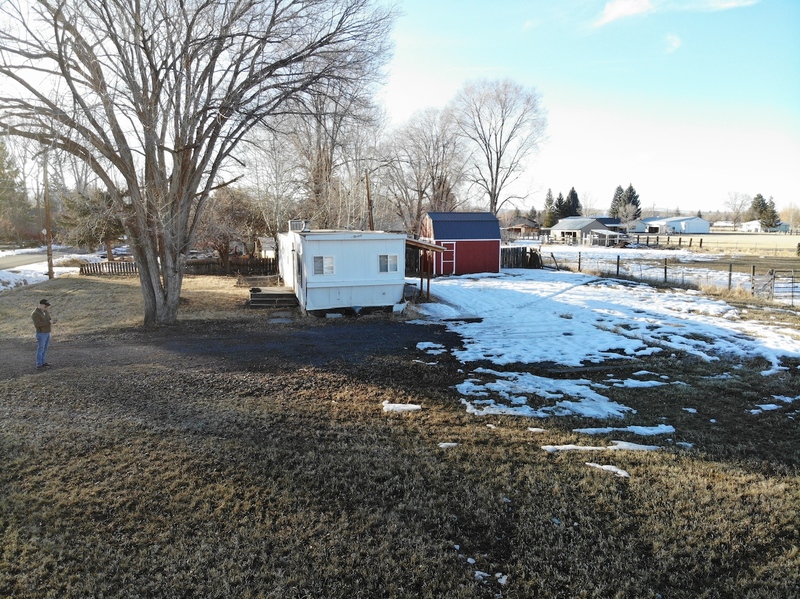 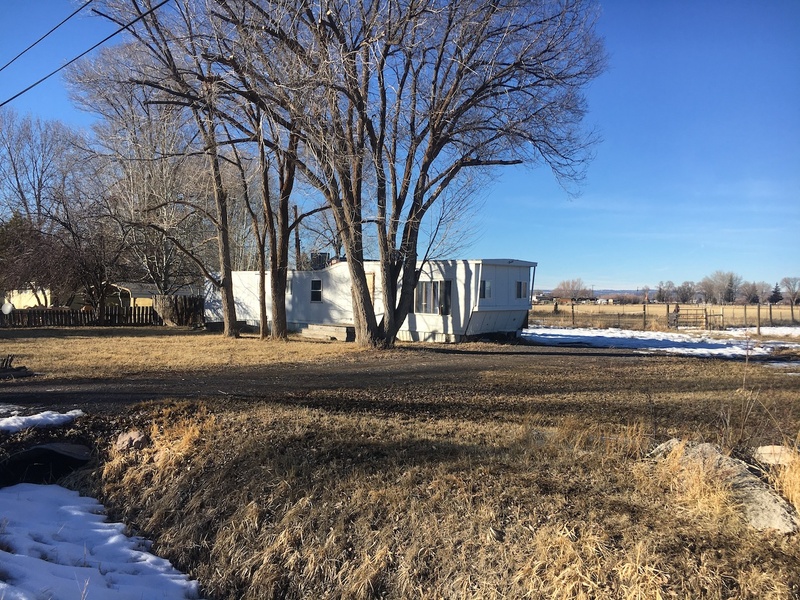 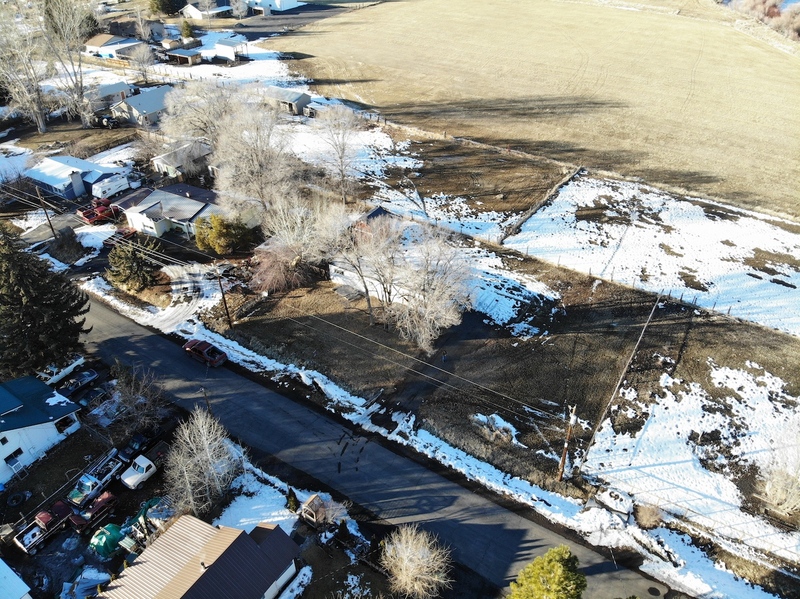 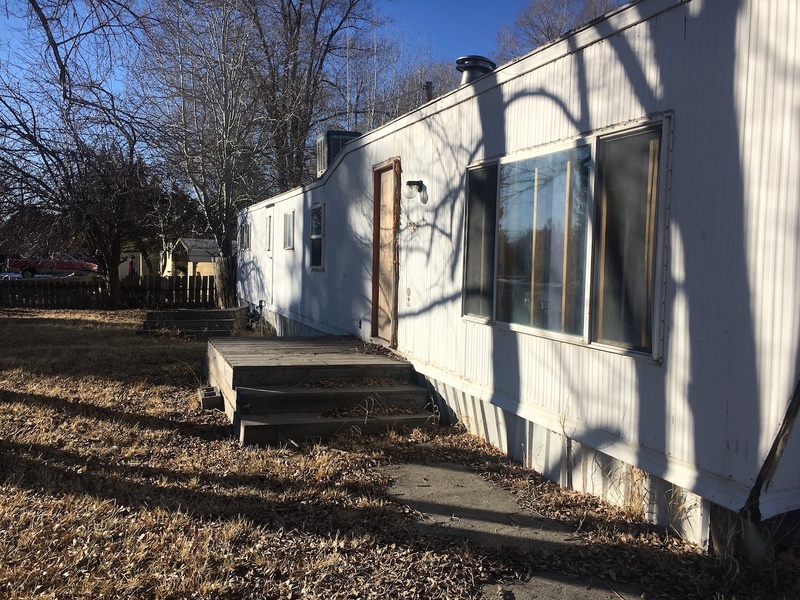 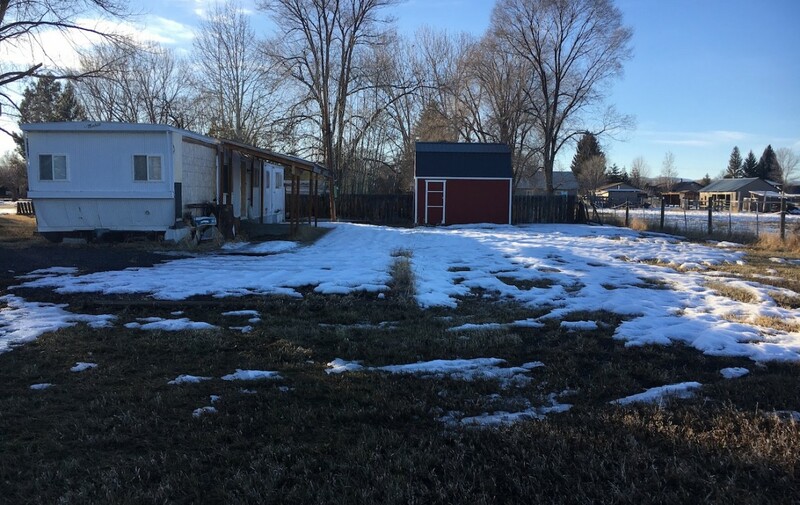 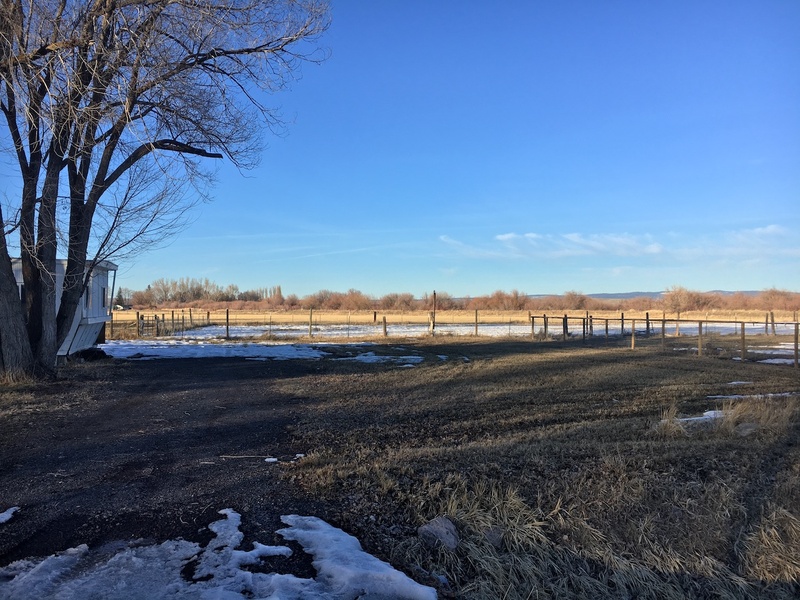 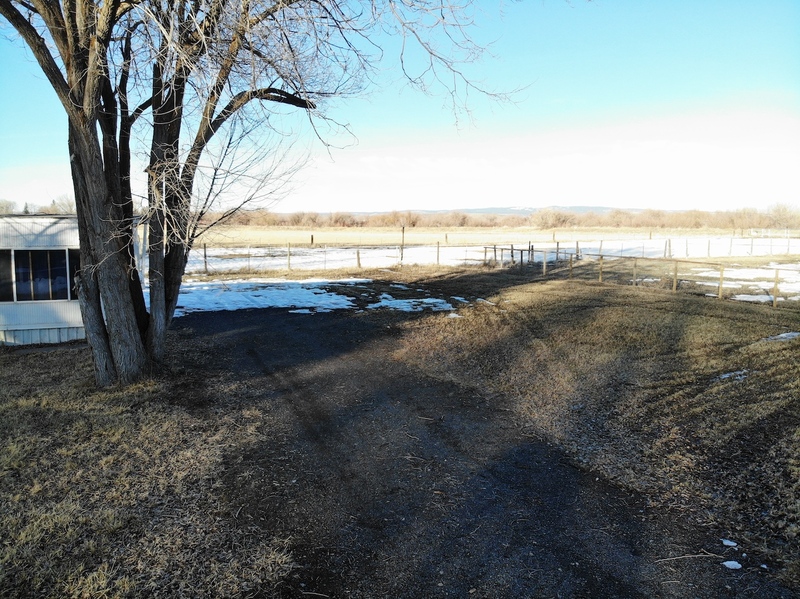 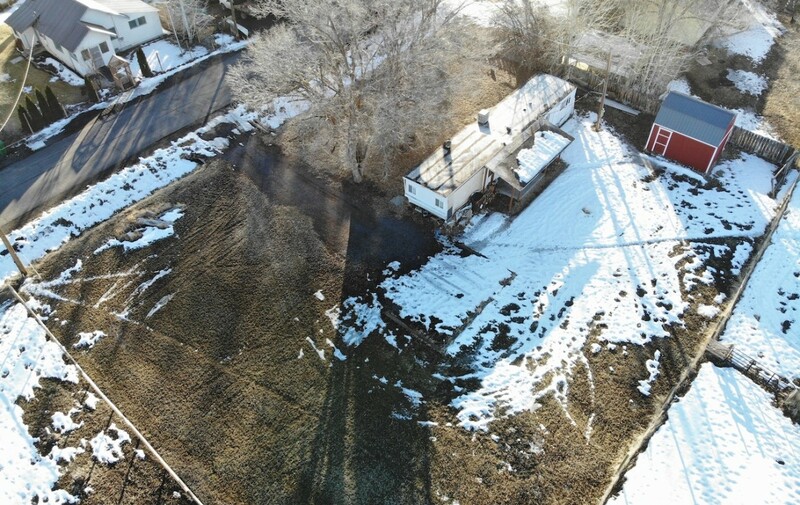 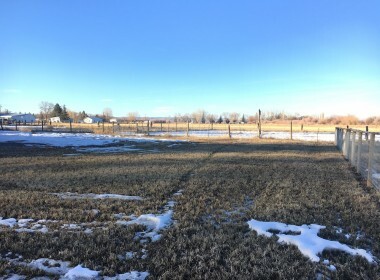 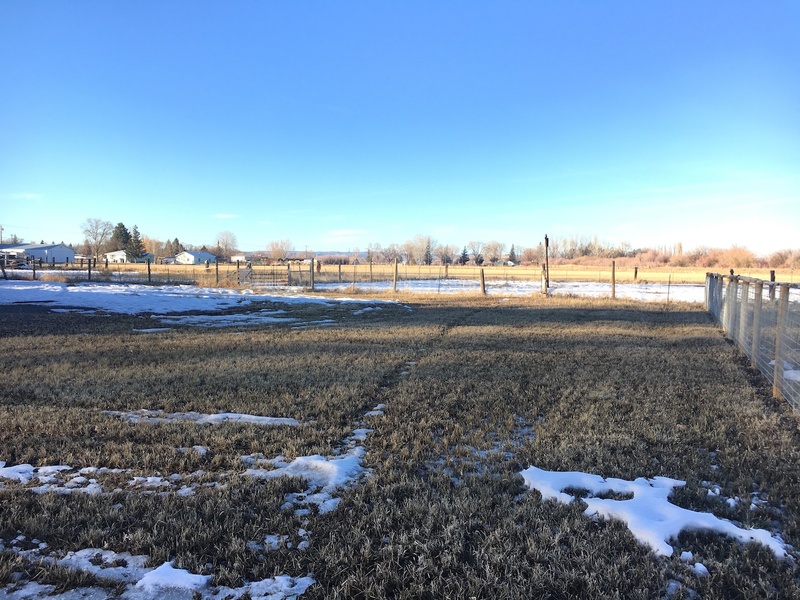 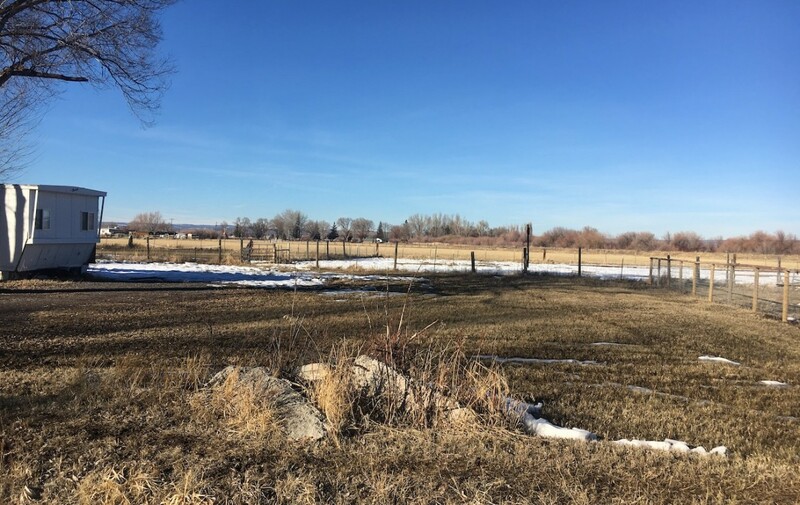 This is a great opportunity to buy a partially remodeled single wide on a very large 0.38 acre view lot down near the Silvies River. 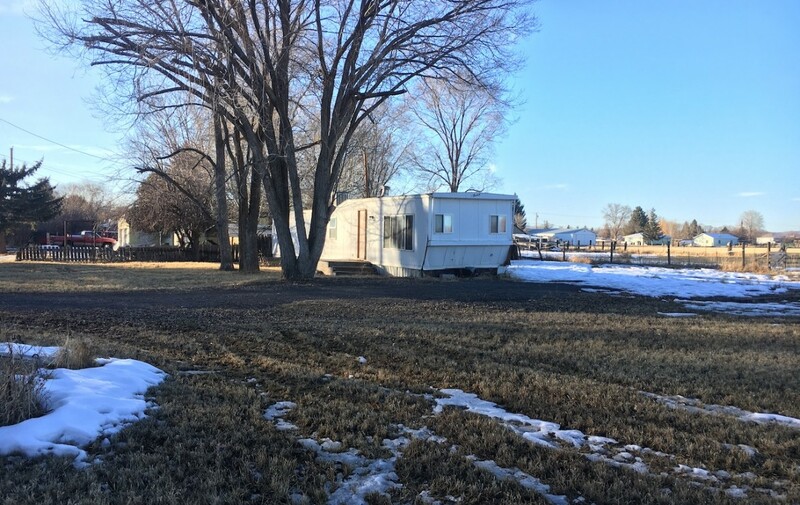 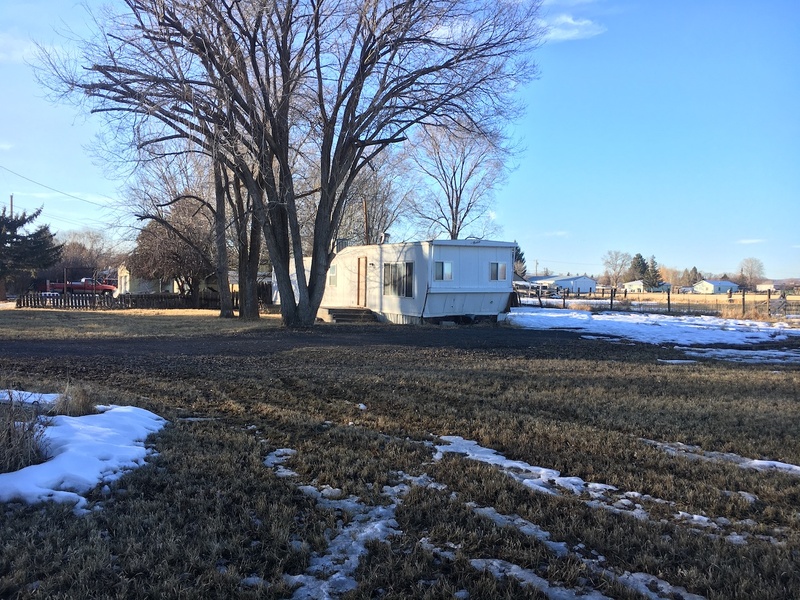 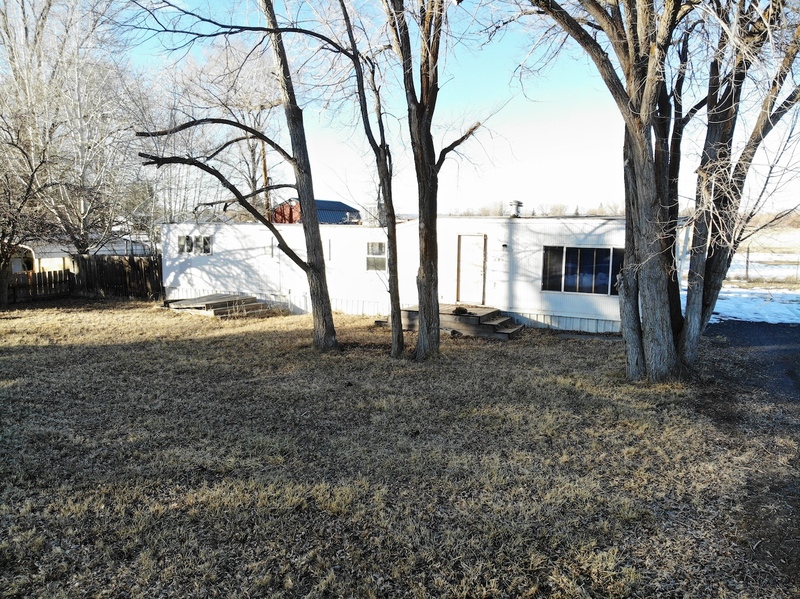 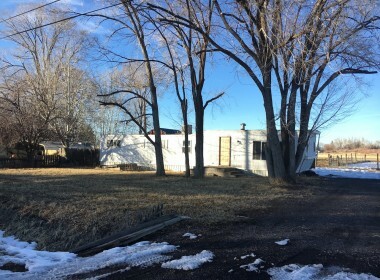 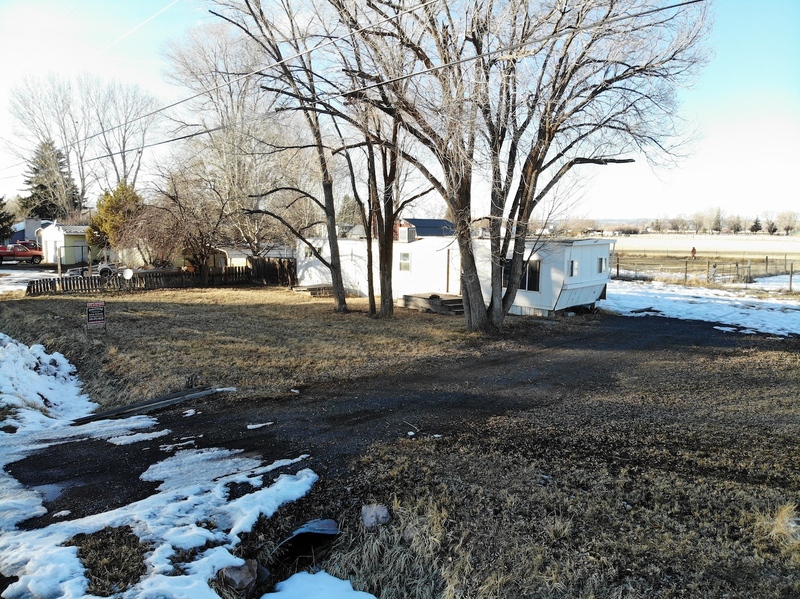 The trailer was built in 1968, the owner has spent a good deal of time and money remodeling the home inside. 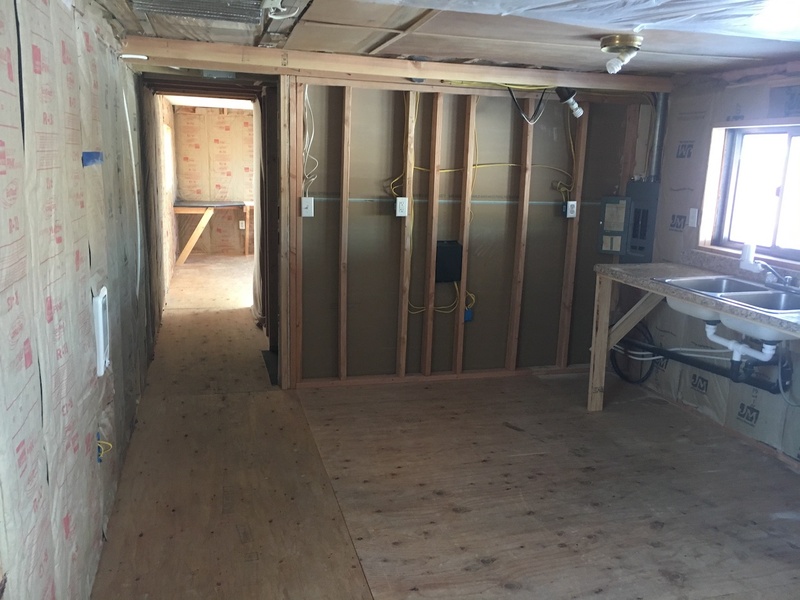 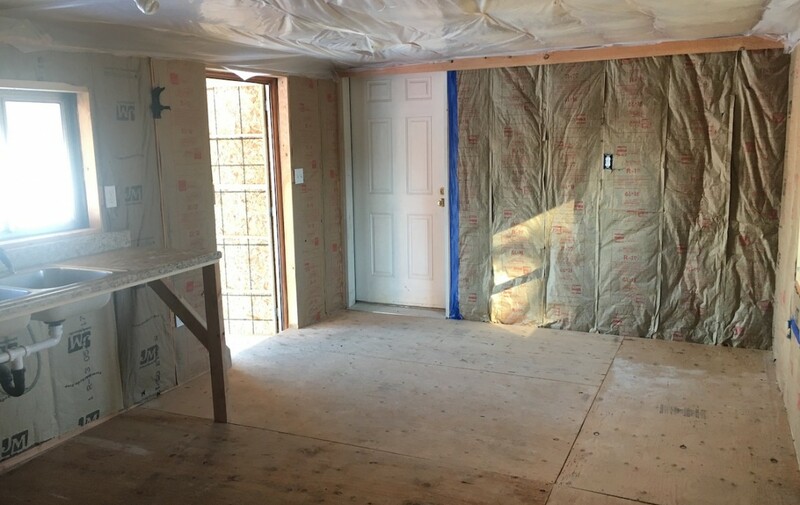 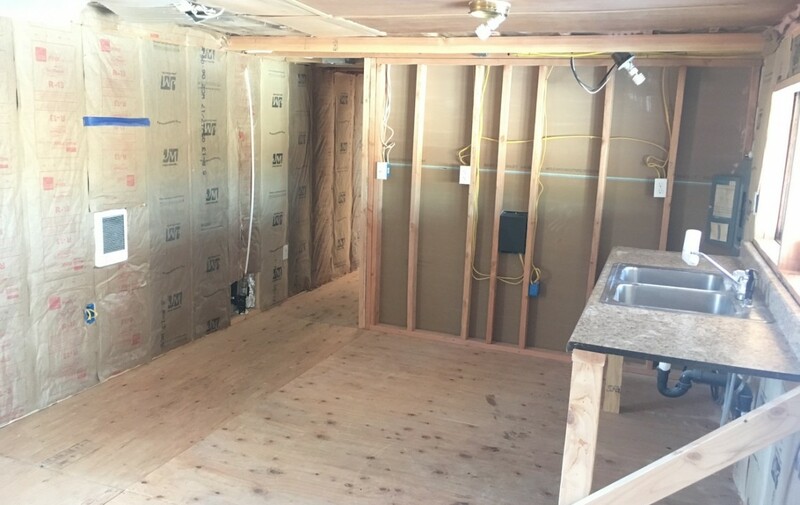 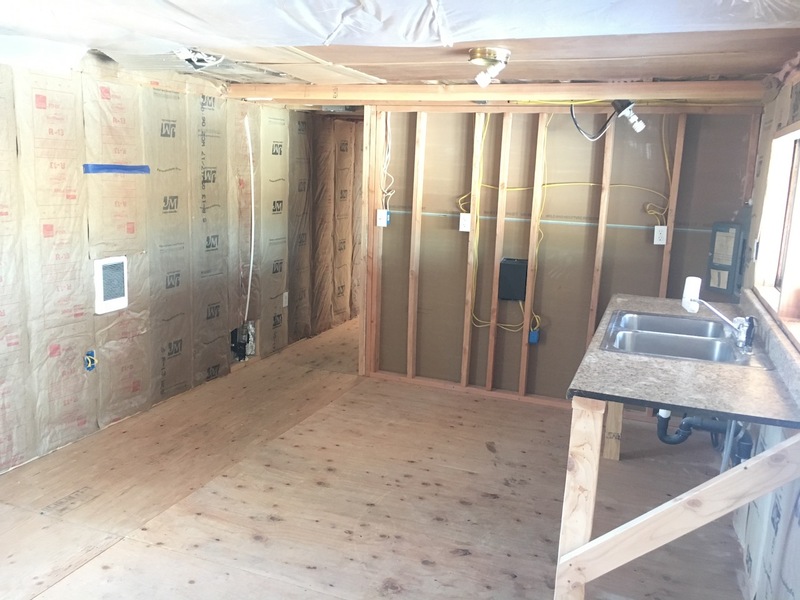 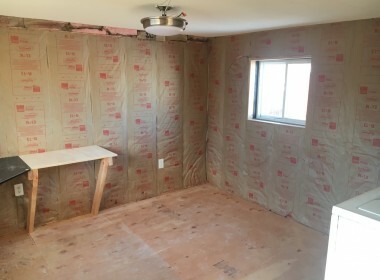 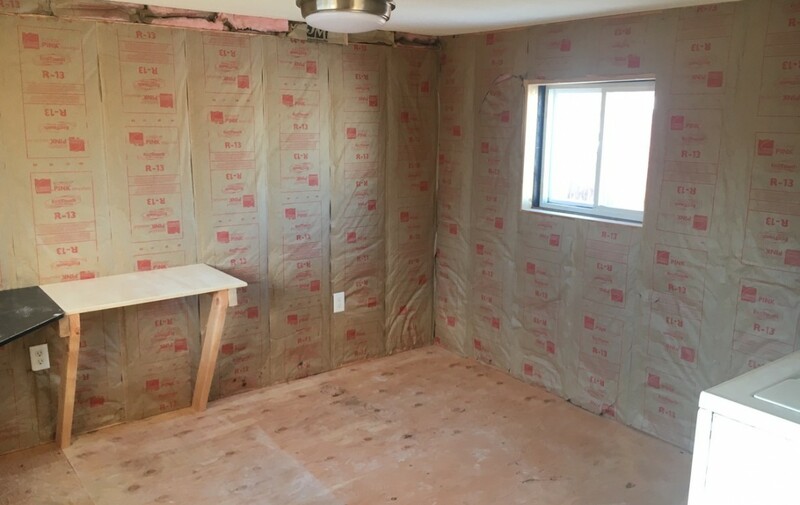 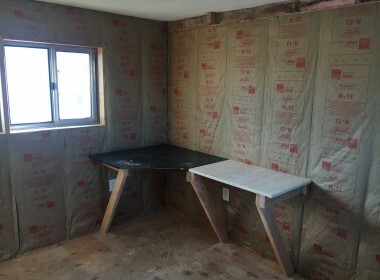 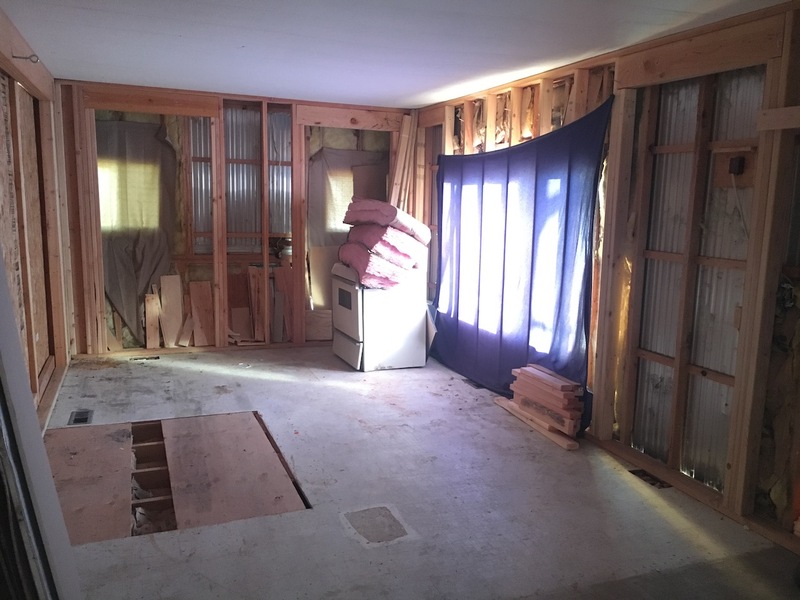 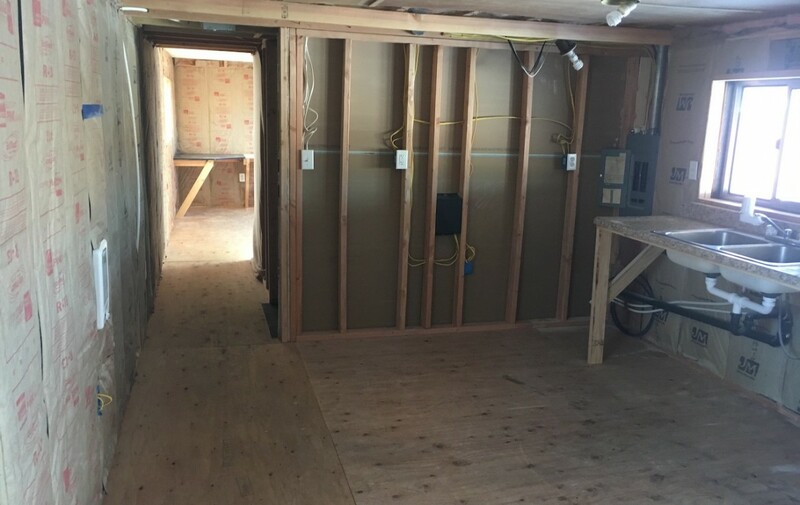 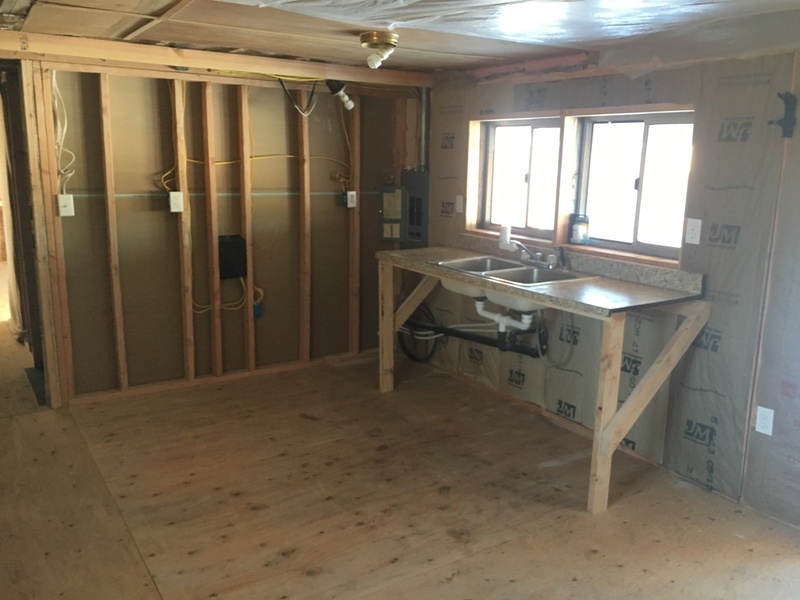 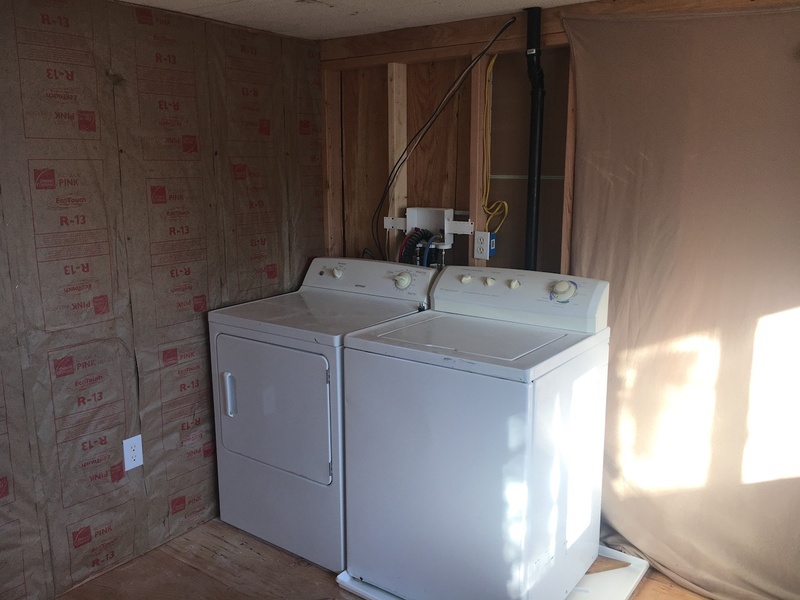 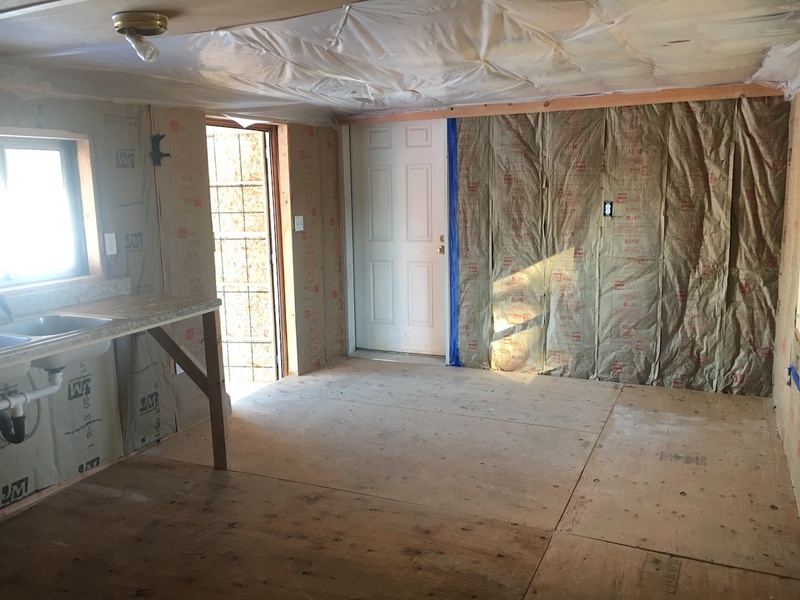 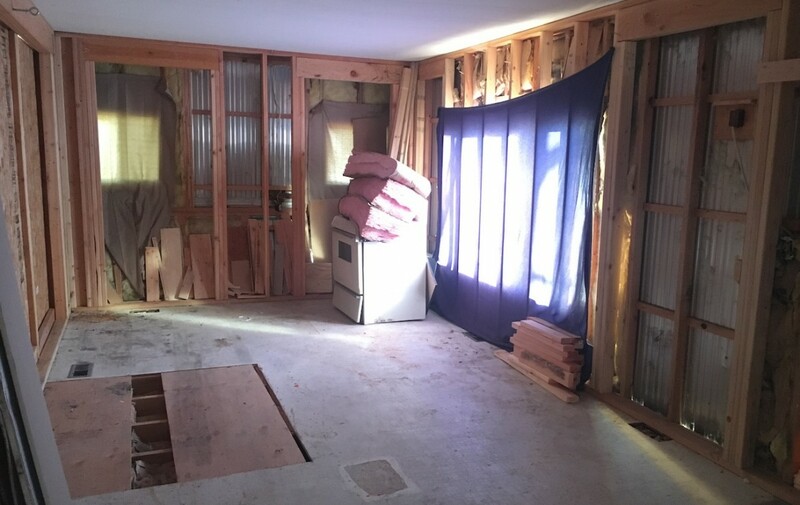 They have reframed most of the interior and added new insulation, electrical and plumbing throughout most of the home. 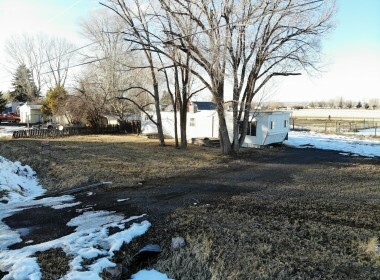 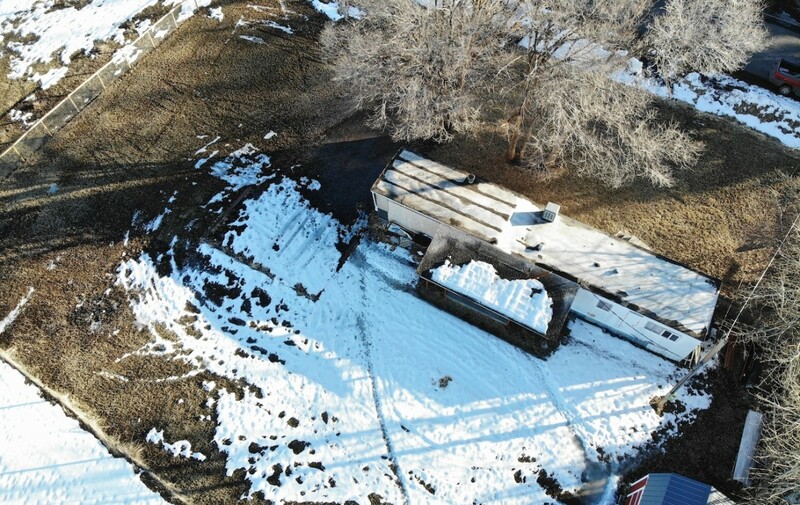 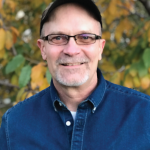 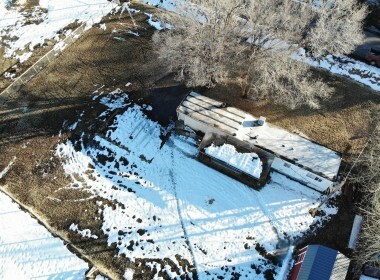 He lived in the trailer over the past year and has since moved to Boise area. 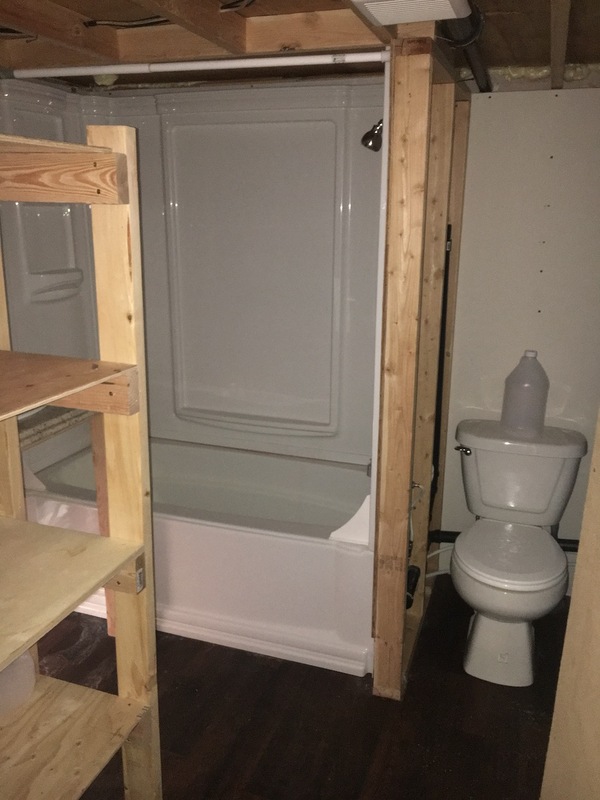 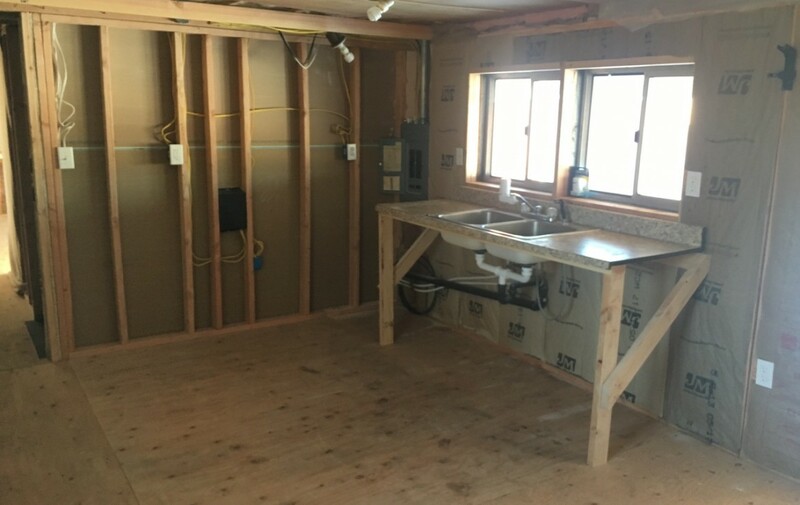 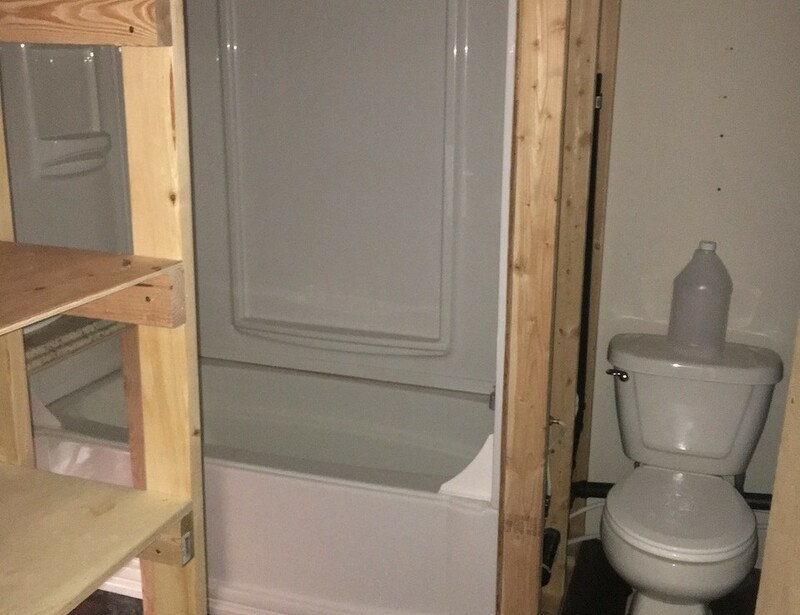 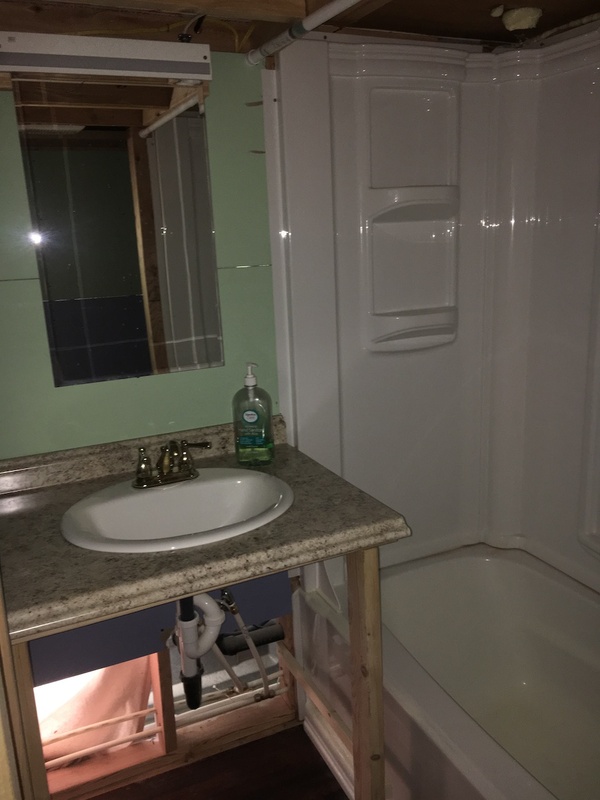 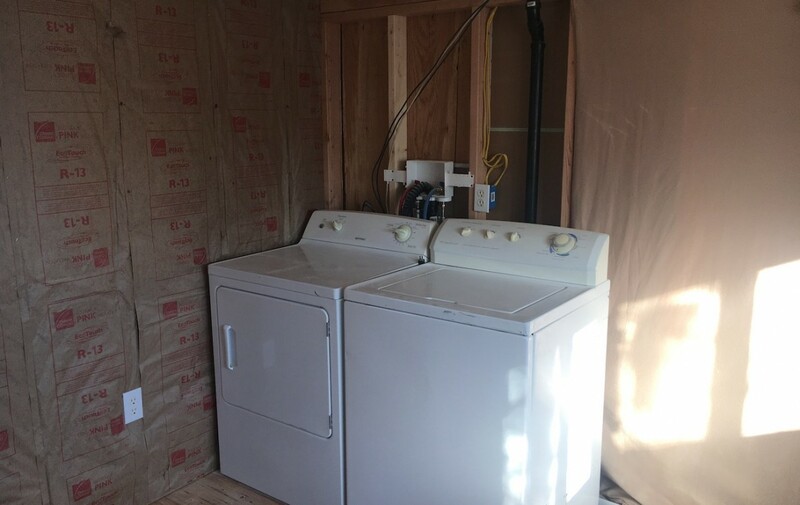 The bathroom has been rebuilt with new shower surround, sink, counter top, hot water heater and new plumbing. The kitchen is open and ready for whatever you would like to do to it. 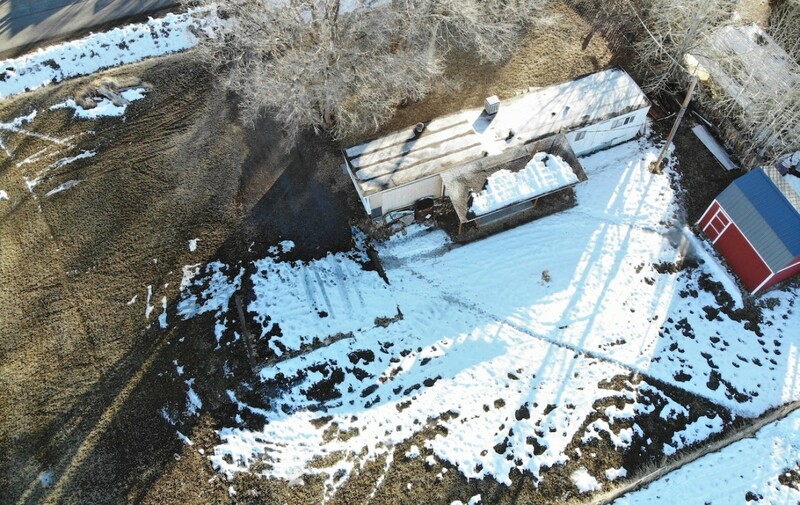 The exterior of the home is in ok shape, the roof does not leak, there is no permanent foundation under the home. 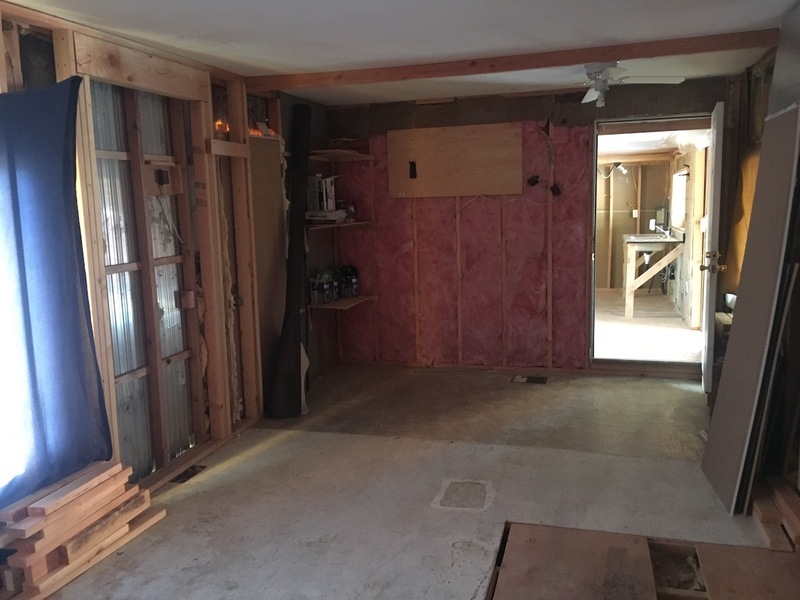 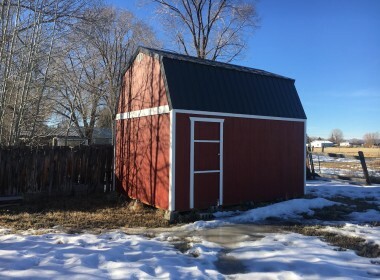 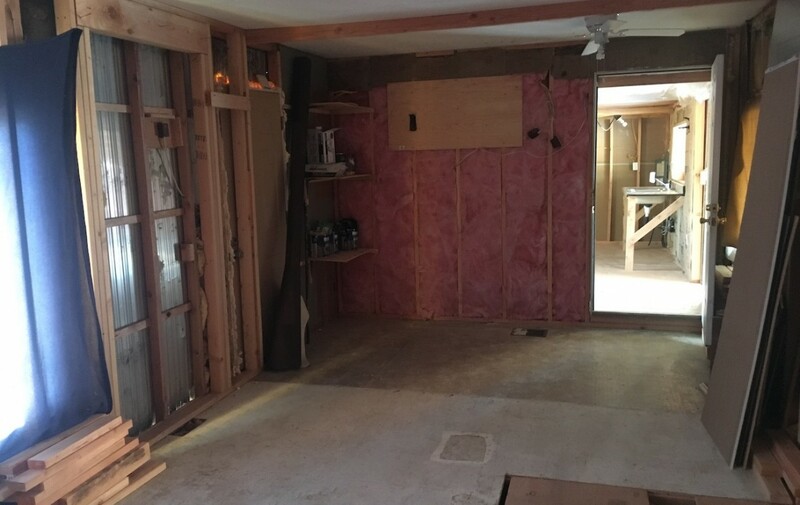 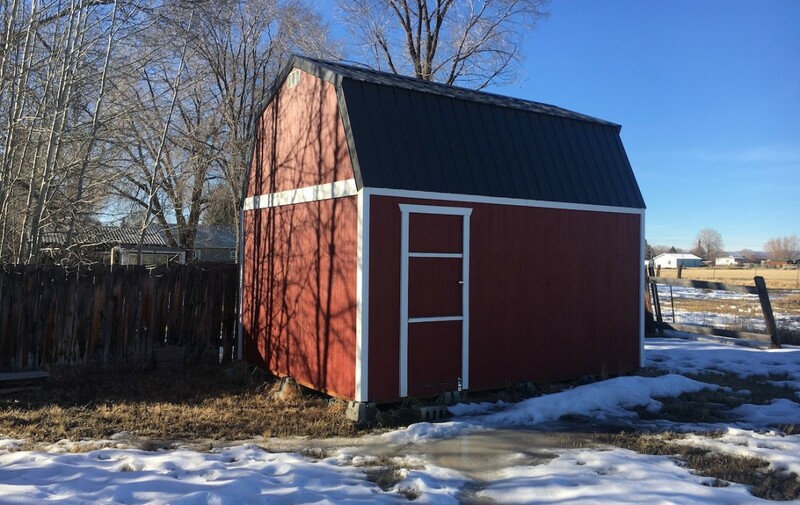 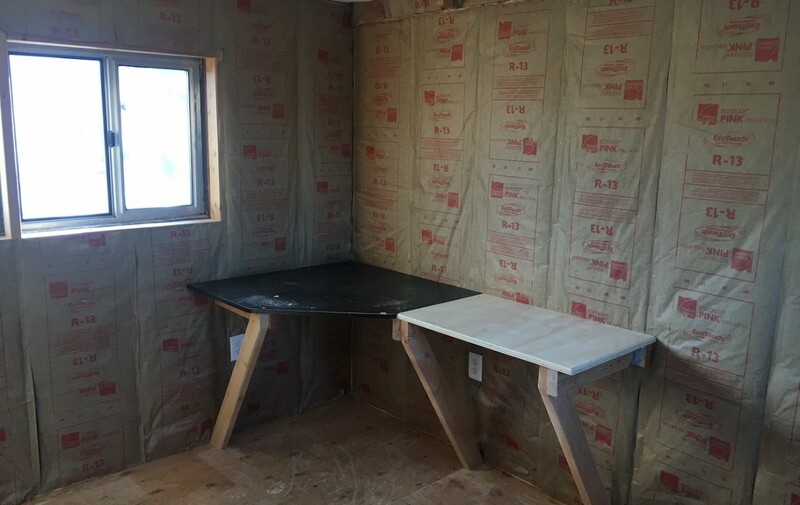 The owner build a very nice 12’x16′ shop in the back yard that has a loft in it as well. 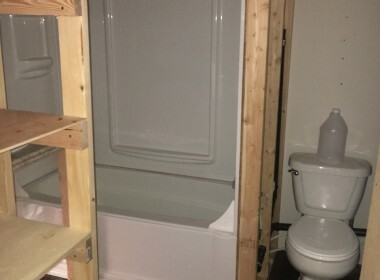 Great for storage or whatever you like. 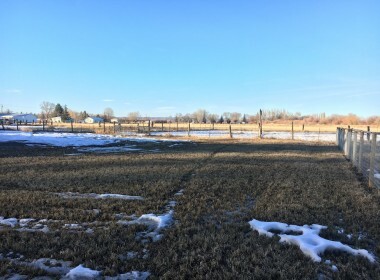 The lot is beautiful and almost a half acre of ground down by the Silvies River. Not much traffic on this dead end road. 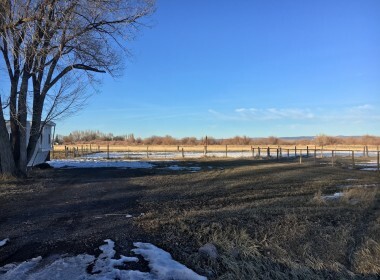 Great wide open views of wildlife and waterfowl from the backyard. 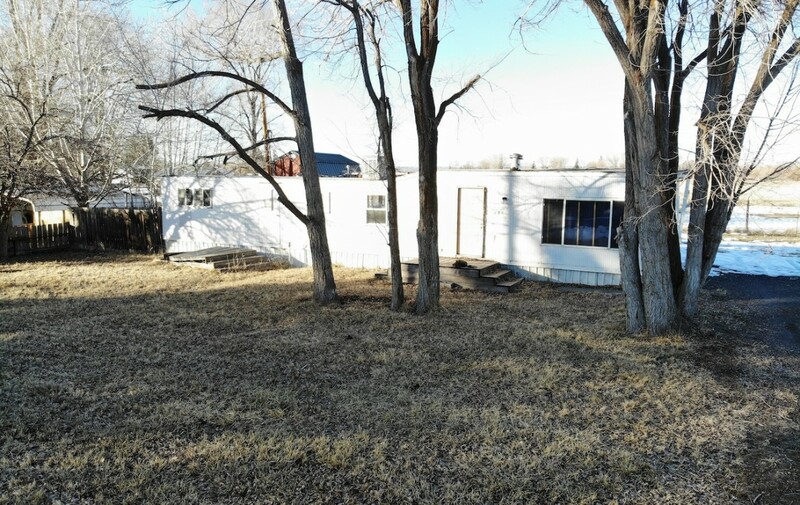 This would be an excellent summer retreat home. This is a project home for someone but a lot of the hard part is already completed, up to you how you want to finish it off. This is being sold in “AS IS” condition and it will not finance in this condition. 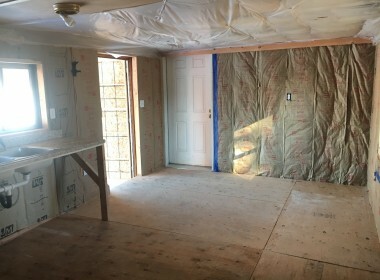 The home is also located in the flood zone. Contact Robert Paramore for a private showing of this property today at: 541-413-1717 cell.